Today (Friday, Jan 18), the Bloor Hot Docs Cinema begins an exclusive run of another of its 2012 festival favorites, The Waiting Room. When the shortlist of documentaries up for nomination for this year’s Academy Awards was released back in early December, director Peter Nicks found his film among the contenders. And even though it did not make the cut the film was in the mix for a reason, the day in the life of a U.S. hospital is an impactful and insightful piece of film making. 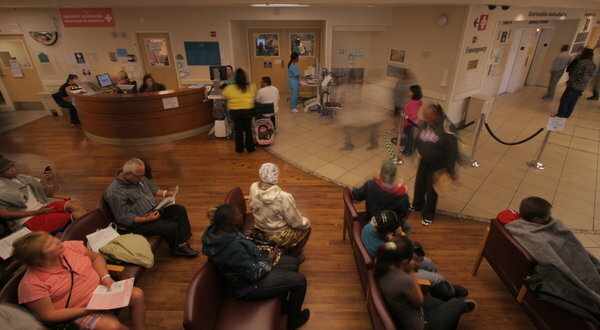 The Waiting Room is a riveting day in the life of an Oakland, California, public hospital’s overtaxed emergency room. 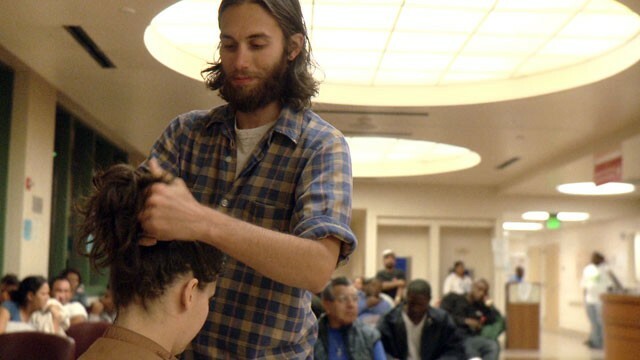 The purely observational character-driven documentary expertly weaves the stories of several patients, most of them are uninsured, and who come to the inner-city facility because they have nowhere else to go. Director Nicks is afforded extraordinary access to patients and caregivers that allows him to paint a vivid picture of the decaying state of America’s health care system, something most Canadians know little about. A ballsy nurse, an anxious father, a drugged out serial patient and a small group of other memorable characters are engaging and draw you in with their stories as the system may be the only real ‘bad guy’ in these circumstances. The narrative is driven by the interactions as there is little structuring and interpretations beyond just that. 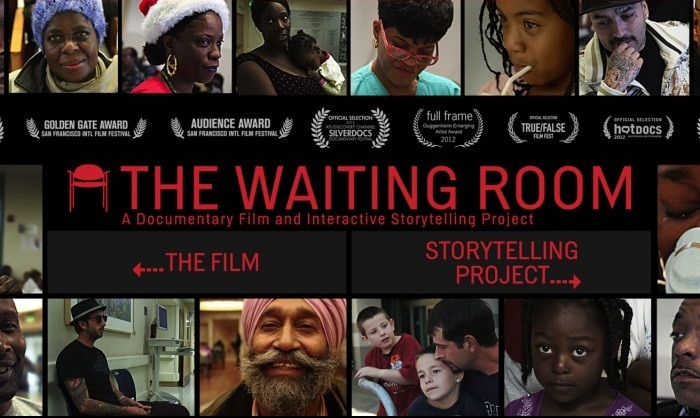 The film is filled with static shots of patients anxiously waiting interspersed with time lapse photography to emphasize the ebb and flow of the waiting room, while conversely showing that many people never move as they wait hours for a little help. The one sequence that may be the most powerful is when the camera is an observer in a room as a patient flatlines. There is no swelling score like in ‘ER’ or ‘Grey’s Anatomy’, just the sound of machines, shuffling doctors and nurses and the sullen look of desperate onlookers unable to help as the patient slowly slips away. What’s left is a body covered in a sheet, as a toe tag is applied and a pile of red stained bandages sit in a pool of blood on the floor, a grim reminder that an emergency room is also a place of death as well as life. The most fascinating aspect of Waiting Room for Canadians is likely the checkout procedure when patients have to decide how they will settle their accounts. For most in this documentary, those without insurance, this practice is similar to asking a bank for money or taking out a loan on a new vehicle. Patients try to barter and plead their way to discounts and reduced fees as the duty nurses discuss payment plans and other options. The line of cubicles devoted to this task as patients leave is a startling reminder to those Canadians who may complain about the system north of the border, this is much, much worse than you’ll ever see up here. Director Nicks’ first feature film is a winner. His low rent, almost guerrilla style of documenting that allows the people and the camera to do the narrative work gives the final result a little more grit and energy than forcing a voiceover or narrative would have allowed. By using very minimal voice over and what is used is only from the people involved, there is no narration here, the flow and concept of the film stays focused and engaging. The Waiting Room is a recommend. For more info show times visit the Bloor Hot Docs Cinema Online Schedule. After a highly successful Toronto debut screening as part of last week’s Toronto Reel Asian Film Festival Richmond Hill program, Yung Chang’s The Fruit Hunters starts an exclusive engagement this weekend at the Hot Docs Bloor Cinema. The film about people obsessed with seeking out and growing exotic fruits from around the world spans the globe in search of these hidden treats and director Chang introduces us to people of all nationalities. From the South American trying to save the banana business from extinction to the Hollywood celebrity trying to launch a community orchard in the Hollywood Hills, we are invited into all of these stories through Chang’s lens. The Fruit Hunters is indeed a globetrotting tour of places with the people to whom fruit is a way of life and not just a suggested daily dietary recommendation. Spanning from Borneo to Colombia, Italy to Hollywood, these fruit-obsessed individuals band together through the shared joy of hunting down these sources of the elusive “sublime taste”. 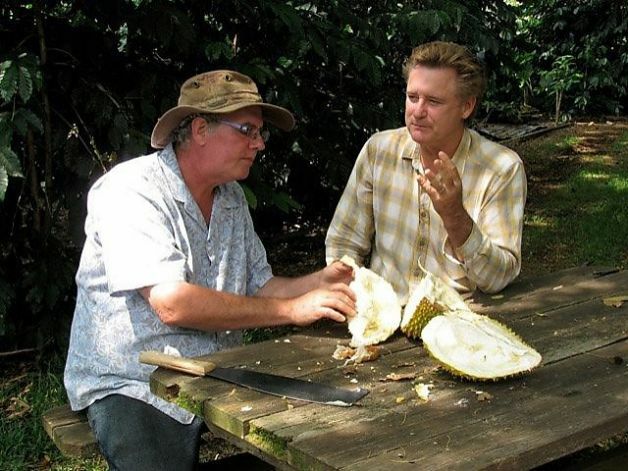 These Fruit Hunters come from all walks of life, including life-long scientists, obsessed average Joes, and celebrities like Bill Pullman. They search the world for new mango varieties, track down surreal-sounding fruit like orange cloudberry or the blackberry jam fruit, and the Superfruit, which alters your taste buds, making lemons taste sweet. The film comes with a multitude of information and facts about these fruits and is likely to make your mouth water a bit. The end credits even include pictures and names of all of the fruits used in the film so that the audience can investigate them for themselves. Director Chang also strives to show us the impact the globalization of the fruit industry has had on the way we buy and consume the fruit we get in supermarkets. The characters are plenty, you can imagine as with all obsessions that you can attract a varied assortment of people, and Chang finds many quirky and oddball hunters to flesh out the film. The camera does spend most of its time with Pullman and his efforts in Hollywood and hunting abroad, seemingly enamored with someone so famous who has been ensnared in this small niche group. What doesn’t work for Fruit Hunters are the goofy, ill produced re-enactments that pop up on the film, trying to explain that these exotic fruits have been influential through history. These excursions are usually jarring and ill-fitting to the general story being examined. While I give kudos to Chang for trying to lighten and liven up some of the more dry sequences of the film with these vignettes, they really do not work well. And that does bring up the other issue of the film in that there are dry spells in various places. Either some more in-depth exploration of some of the other non-Pullman storylines or even trimming the film down a bit may have resulted in a stronger beginning-to-end flow. 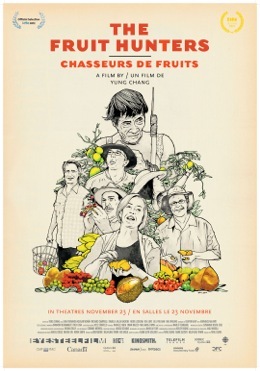 The Fruit Hunters does achieve its ultimate goal in educating and fascinating the audience with all the exotic treasures, but as a film it is hardly a slam dunk. Even with its issues, Fruit Hunters still packs more than enough punch and information to entertain and fascinate. The Fruit Hunters is a mild recommend. 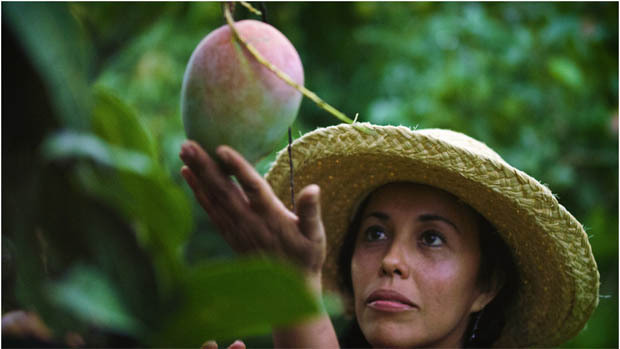 The Fruit Hunters starts its exclusive run at the Bloor Hot Docs Cinema Friday Nov 23rd. For more information check their Online Schedule. The once bustling city of Detroit is a shadow of its former self. Starting back in 2010 when the economic downturn was in full swing, Detroit went from downturn to depression in a heartbeat. With the closures of local automobile production plants, the heart of Detroit’s manufacturing industry, other key business people started leaving Detroit in droves. Once one of the fastest growing cities in the world, Detroit now ranks among the highest cities in lost population over the last couple of years. While the families have moved on, the younger generation of bloggers and performance artist have now claimed it due to cheaper housing and access. 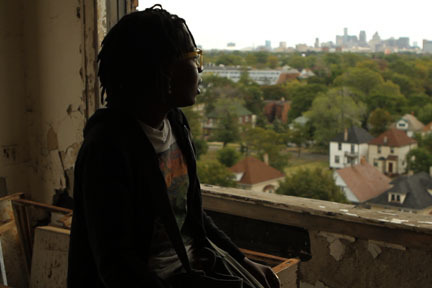 Detropia starts before the economic buyouts that turned around the auto industry in Detroit. These were the leanest of days, focusing on the few that stayed fighting and trying to rally the city back to its former glory. The city itself is broke, having to find ways to stay afloat by cutting essential services and social programs just to avoid declaring outright bankruptcy. 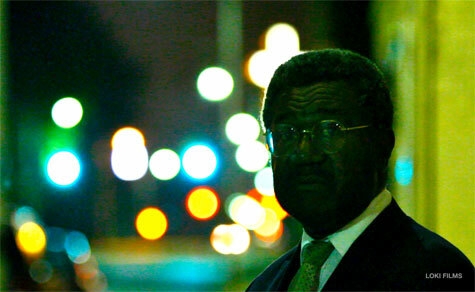 The film focuses mainly on three Detroit citizens/activists and the Mayoral offices of the city. Crystal Starr is a video blogger determined revitalize the abandoned buildings and streets of Detroit, she also works in a coffee shop during the day. George McGregor is the head of Local 22 of the auto workers union, desperately trying to save the jobs of his fellow unionists as the companies and jobs available continue to dwindle. Tommy Stephens is a retired school teacher who owns a local lounge keeping the Motown tradition alive with great live bands performing every night, but he can’t help but seeing the struggling neighborhood around him every day. Directors Ewing and Grady spend the bulk of the film exploring the current state of Detroit, with minor glimpses of the past blended in. The course of the film takes a dramatic twist when the US Government bail outs occurs and the people of Detroit get their manufacturing division back, but not without cost. There is a poignant scene that depicts the amount of struggle and compromise through a worker’s call to George who just wants to know what is left of the medical coverage that wasn’t sacrificed for the new deal to go back to work. Other impactful moments include a trip to the auto show by Tommy that results in a wakeup call when he realizes the amount being charged for hybrid vehicles out of Detroit is almost double those coming from China and other places in the world. And right near the beginning of the film Crystal walks us through an abandoned building with some of the most spectacular views of the city and wonders who would ever give that up. The scene that summed it up best for me is a simple steady shot on a 12 story wall that was once a building, swaying in the wind unsupported while pieces of the wall fall downward to the ground. In the end Detropia delivers a strong message and a real feel of what modern day Detroit citizens are coping and dealing with. While not every aspect and decision in the film works, I know why they show the performance artists and their story but in the end it becomes superfluous. However, there really is some good footage here and the three main focused characters really are engaging. Detropia is a recommend. 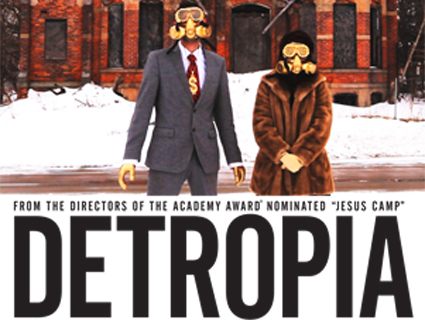 Detropia has an exclusive run at the Bloor Hot Docs Cinema on now until October 19th. The first two episodes cover the start of film, from the 1890’s through to the 1920’s/30’s, and show us the innovations from across the globe, many of which still apply today. We delve into the careers of Harold Lloyd, Buster Keaton and Charlie Chaplin while also investigating the seminal films Birth of a Nation, The Passion of Joan of Arc and many more. Cousins has certainly done his homework as the film is chocked full of details that even the most hardened of film historians may not know. His depth of research is certainly astounding and furthermore the amount of footage he has access to is stunning. Some of these films have probably not been projected since they were first put in theaters. 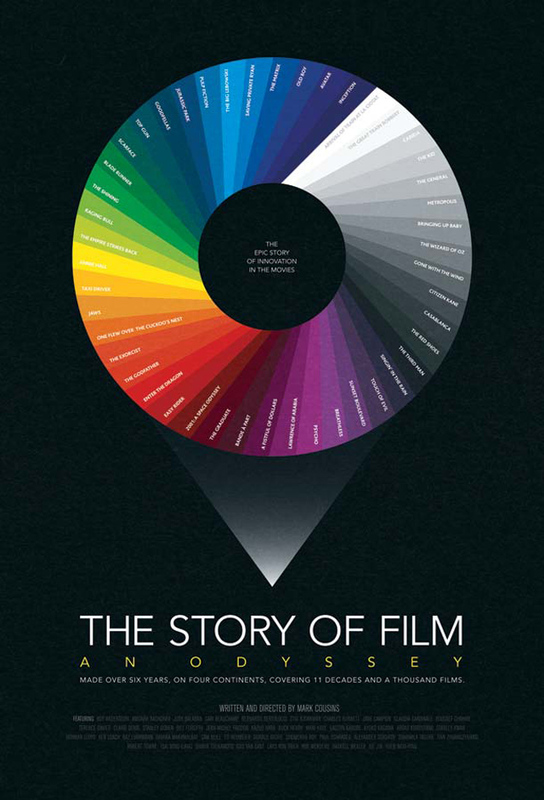 Dry in parts because of the sheer amount of knowledge being displayed, The Story of Film: An Odyssey is a MUST SEE for any true cinema lovers. This is the most comprehensive dissection of film’s history ever put together. Do yourself a favor and get out to the Hot Docs Bloor Cinema and catch as much of this as you can. For more details on show times consult the Hot Docs Bloor Cinema schedule. 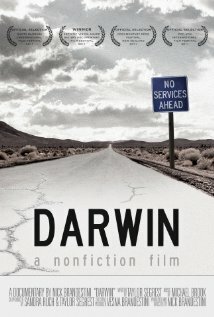 Darwin starts a run at the Bloor Hot Docs Cinema in Toronto starting today, August 24th. If life’s getting you down and the mistakes seem to be piling up like unpaid bills, you may feel like leaving civilization in the dust. 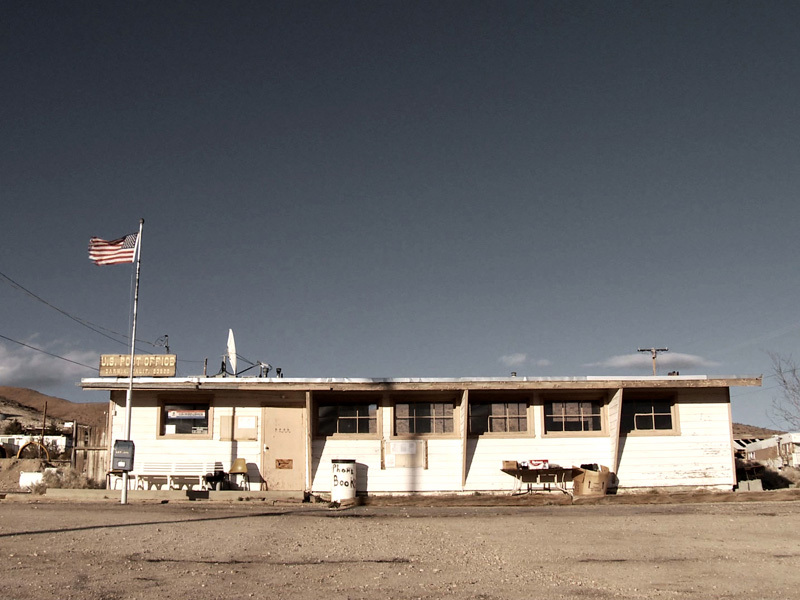 Pack your bags and grab your closest loved ones, but don’t fret, even though you may feel like traveling to the end of the world, you only need to go to Death Valley in California to leave the world behind, specifically, a town with a population of 35: Darwin. The documentary film Darwin depicts life in the small town of the same name. The population is 35, the only job is at the post office, which is presumably government funded, and the sense of community is strong. So far nothing seems particularly amiss or entertaining about the small town, but it’s only after learning about the denizens of Darwin that the story starts to take shape. Although some of the residents stumble with their words and make some claims that could be interpreted as uneducated, they manage to surprise in other ways, while sometimes hiding truly remarkable talents. Any viewer with a prejudice of what ‘small town folk’ are like will quickly find themselves questioning this view. Many of the residents have made mistakes in throughout their lives, but most now display an understanding of what it is to be human that philosophers of psychologists should be jealous of. Add to this remarkable talents that could have made some of the residents famous in more populated areas, and it becomes hard not to yearn for a few years out in the desert with these amazing people. Some problems that face America as a whole are also present in Darwin, and many of the stories the residents tell are nothing short of heartbreaking, but it is the spirit of the entire community that makes Darwin feel like an ignored diamond in the rough. 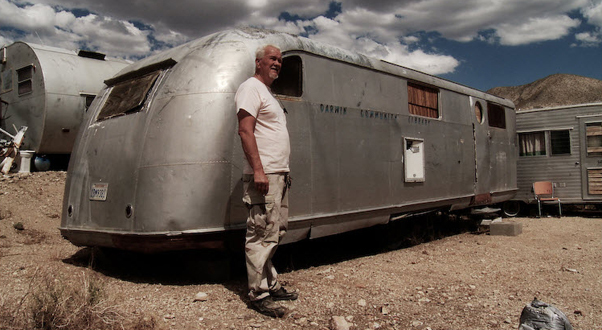 On the filmmaking side of things, Brandestini, the documentarian, fills the needs of any good doc: a trip to somewhere inaccessible to most of us, but also the telling of an entertaining story in the process. I doubt that many people who watch this film will ever set foot in Darwin at some point in their lives, but it doesn’t matter as the doc does a wonderful job of transporting us to the quiet, dusty landscape for an entire 90 minutes. It’s hard to leave the residents of Darwin behind once the credits begin to roll. I found myself with so many questions about their futures and for that matter, about mine. We only get one chance at this game called life, but at least it’s comforting to know that if I have a few bad turns, there is a community that will accept me for who I am, and I can all but leave the world behind and take up residence in the little town of Darwin.